It is our pleasure to offer you a comprehensive, introductory guide to EFT (Emotional Freedom Techniques). This 66-page download (.pdf in English or French) includes tapping basics, how-to skills, questions and answers, and essential Art of Delivery tips to help you discover the benefits of EFT. 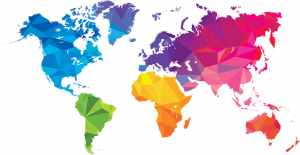 Whether you're preparing for an EFT International hands-on EFT training course, or wanting to tap more effectively for yourself, the EFT International Free EFT Manual is designed to help you gain a more comprehensive understanding of EFT. Une traduction française est maintenant disponible! Vous le trouverez après avoir rempli la forme suivante. Subscribe above and receive a link to your free, high-quality .pdf copy of the EFT International Free Tapping Manual. As a subscriber, you'll receive notification of future updates and supplements to the manual and get access to our monthly EFT International Community Newsletter. We respect your privacy, and you may unsubscribe at any time. 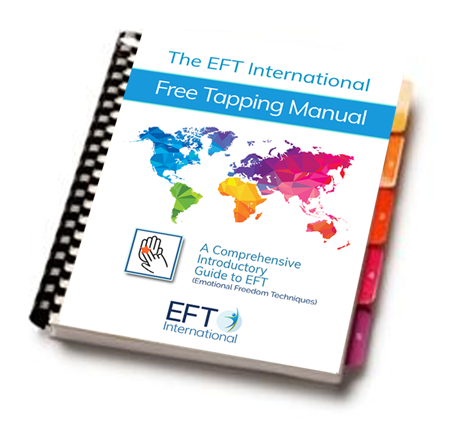 Please Note: The EFT International Free Tapping Manual is introductory in nature – a comprehensive beginner's guide and not a replacement for hands-on EFT training. It does, however, provide a rich beginning for people wanting to explore and experience the benefits of EFT (Emotional Freedom Techniques). Be sure to visit the EFT links and products page for more EFT tapping resources.